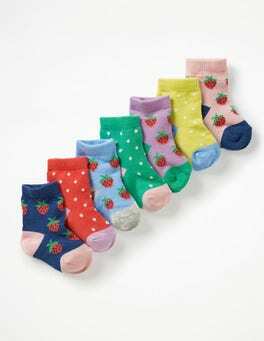 Keep your little one's feet cosy every day of the week with this seven-pack of socks. 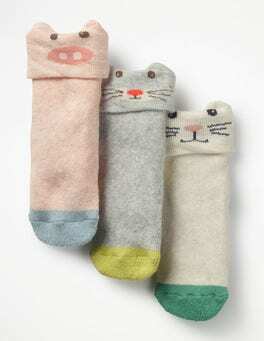 We've added a bit of stretch for the perfect fit and some peculiar pets on the toes to make you smile. It comes tissue-wrapped in a box, so it also makes a perfect present. 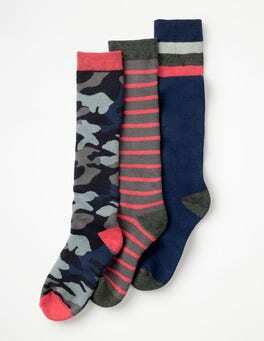 Fill up your sock drawer with this seven-pack of cotton-rich pairs. With a different design for each day of the week, your toes will be spoilt for choice. They come in a box, making them an ideal present. What will it be today? 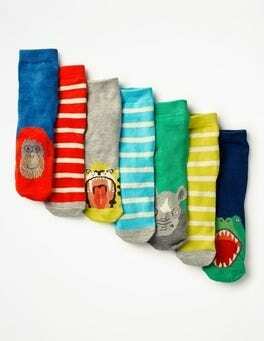 Our pack of five cotton-rich socks comes in a range of fun designs. That way, every day starts with something a little different. Perfect for a present or to keep up with everyday adventures. 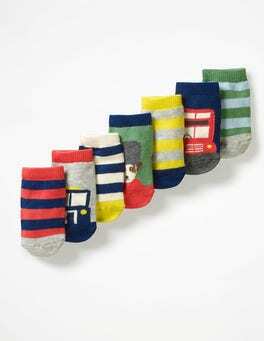 Pick out a playful pair of socks every day with this cotton-rich seven-pack. With quirky prints and mischievous motifs, these designs are perfect for adding a bit of fun to your morning – even on Mondays. Presented in their own box, they make an excellent little present too. 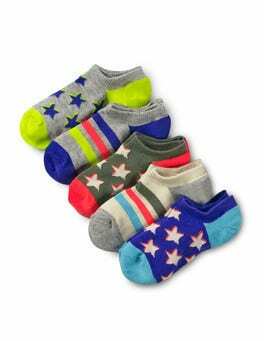 Little toes will love these soft cotton socks with stripe and star patterns. Our handy seven-pack has a new design for every day of the week – look out for pairs with cuddly friends on the toes. Neatly rolled in a smart box, you might want to grab an extra pack as a standby present. 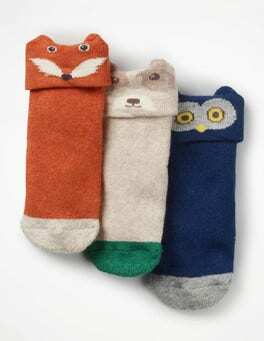 A friendly trio of pals makes these cotton socks come to life. 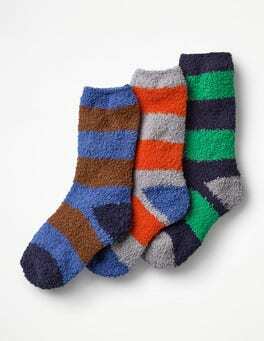 They're really soft and have a little extra length to make sure tiny feet stay cosy all day long. 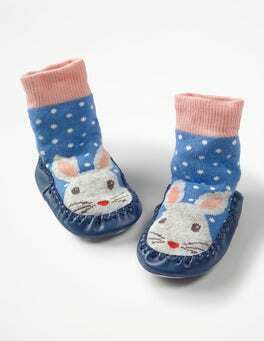 With their adorable animal detailing, baby won't want to take them off. We know how important it is to wear comfortable underpants. And that's why we've put so much effort into making sure this pair fits well and stays in shape wear after wear – a win-win situation. Our boxers come in multipacks of three. 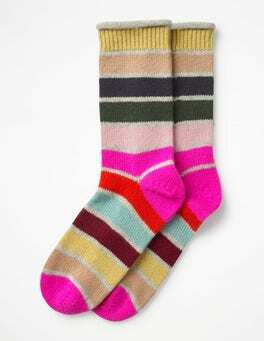 Keep warm right down to your toes with these knee-length, stripey beauties. 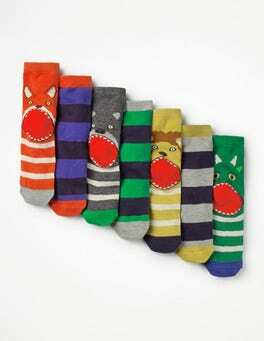 Our fun, colourful socks are slim enough to wear under trousers and a snug fit for wellies if you're out braving the elements. 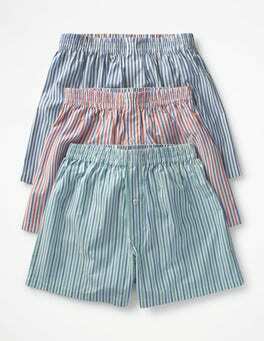 Or just match them with a pair of pyjamas for the perfect night in. Ever wish you had invisibility powers? Well, at least your trainer socks do. This low-cut style is also perfect for ballerina pumps and slip-on shoes. The extra-stretchy fabric will grip your foot so they won't disappear down to your toes. Ahoy there, sailors. 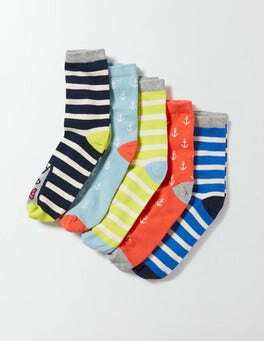 Our socks have gone nautical with a bunch of really cool cats in hats. 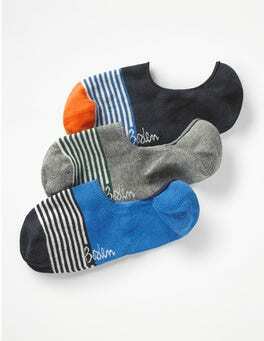 Whichever option you choose, the ribbed top will keep your socks nice and secure. This fun-filled five-pack means a different pair for each school day. 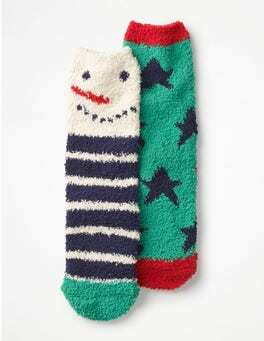 Soft socks = happy feet. 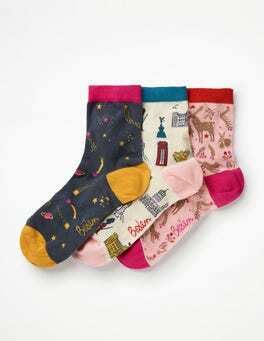 This cosy five pack is fun and cheeky with its quirky motifs and sparkly details. 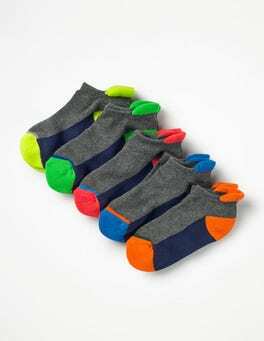 They’re rich in breathable cotton to help feet stay cool and comfortable all day, whether it's a school day or a being-cool day. 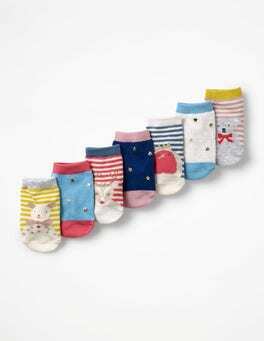 Keep your little one's feet cosy every day of the week with this seven-pack of socks. We've added a bit of stretch for the perfect fit. It comes tissue-wrapped in a box, so it also makes a perfect present. 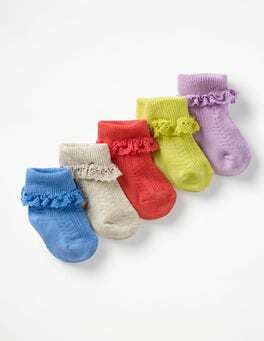 Tiny toes will feel super-snug and comfortable in our cotton-rich socks. We’ve added a touch of delicate lace detailing, making them the perfect partner for pretty skirts and dresses. 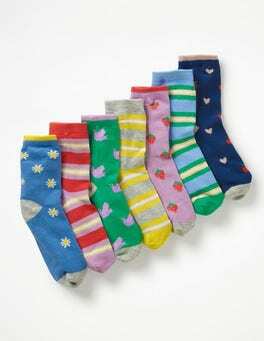 The boxed set includes five different pairs in cheerful colours, so everyone can find their favourite. 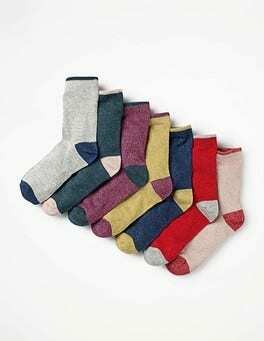 Our present-ready box of seven cotton-rich pairs of socks bursts with bright colours and bold designs. 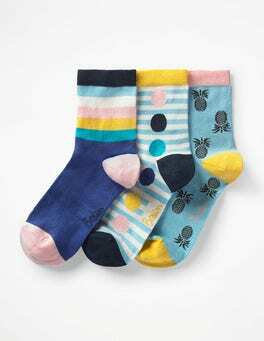 Pups, bugs and stripes all appear on these fun and sporty socks. Perfect for little feet going on big adventures. Be a ‘no show’ in the best possible way. These socks are low-cut so you can’t see a peep when wearing flats. They’re exactly what your trainers have been searching for, and in colourful stripes they look pretty fun too. 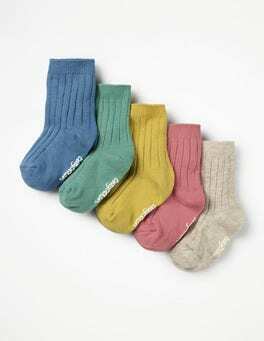 These cotton-rich socks turn up the comfort factor. Not only do they feature fun stripes, contrast colours and sporty slogans, they have added tipping for support at the heel. 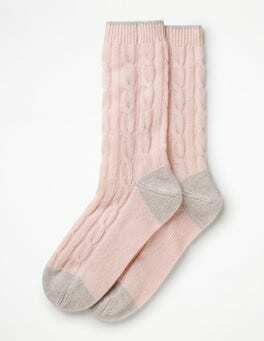 Soft linings make them a treat for feet from Monday to Sunday. 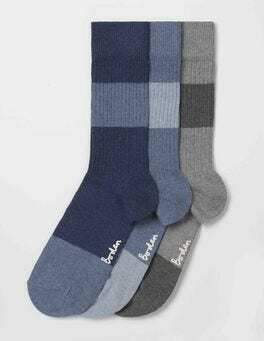 Fill up your sock drawer with this seven-pack of cotton-rich pairs. With a different design for each day of the week, your toes will be spoilt for choice. 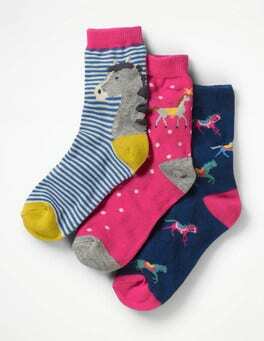 Dance around in disco-themed socks or wear animal friends on your feet. They come in a box, making them an ideal present. Bunny has a twitchy red nose and a twinkle in her eye. Why? 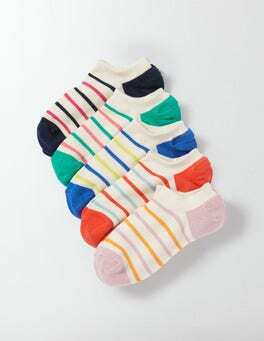 Because she wants these supersoft cotton socks to be slipped onto tiny toes. With their grippy leather soles they're just right for taking first steps. Anyone for walkies? 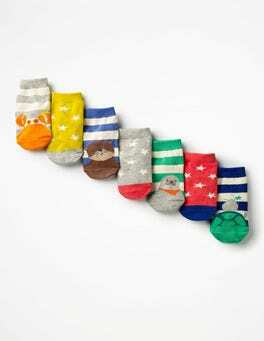 These cheeky slipper socks with a jolly puppy on the front make first steps fun. 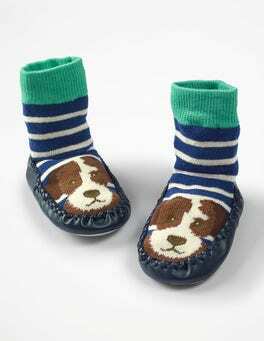 They're crafted from cosy striped cotton with a deep-rib cuff and an anti-slip leather sole (because toddling's tricky when you're just a learner). They'd be wagging their tail if they had one. These are not your average trainer socks. We've given them a thick cushioned sole for ultimate underfoot comfort, then added a contrast colour on the toes and finished them with our Boden logo. The cotton is breathable and finished with a marl effect – because we don't believe in boring. 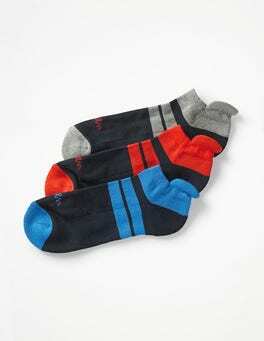 With go-faster neon highlights, these sporty socks are perfect for blazing a trail on the track. The padded heel and cuff are blister resisters and make them extra comfortable. Race you to the finish line. 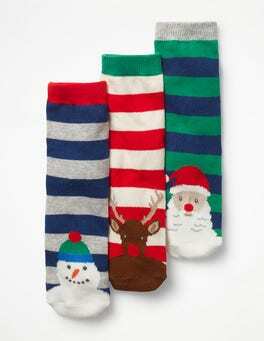 These festive socks are on double duty. 1) They're keeping teeny feet warm (fluffy cotton-rich yarn makes that a doddle). 2) They're transforming little legs into a winter wonderland, with an adorable snowman design and a print that's so starry, it'll rival the top of the Christmas tree. Shh! 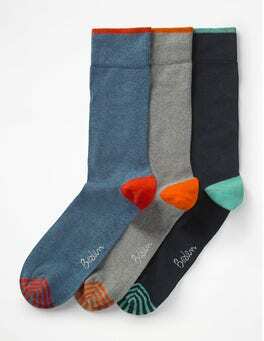 These are the kind of socks aspiring secret agents will love. With a fit that stops at the ankle, they'll disappear snugly into trainers without a trace. Bright stars and contrasting colours pop when shoes are kicked off at the end of the day. Ready, set, go! 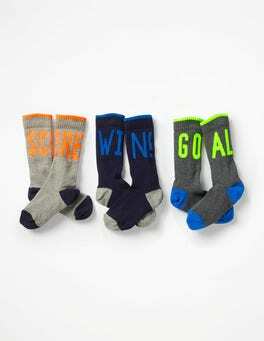 Time for a crawling race with these sporty socks. They've got a softly ribbed cuff to hold them up and come in a rainbow of shades - there's one for every adventure. 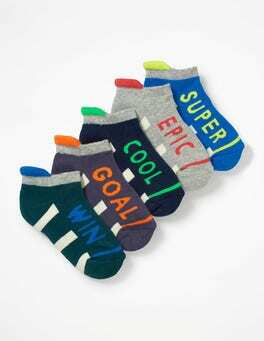 Stay toasty during the fiercest of snowball fights in our supersoft socks. These cotton-rich essentials are finished in cheerful shades and seasonal prints, with ribbing at the top to keep them snugly in place. 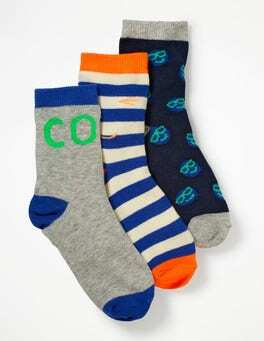 For toasty toes with a touch of fun, slip on a pair of these bright and bold cotton-rich socks. The chunky knit in vibrant stripes and colours will give chills the boot in a jiffy. There's an elasticated cuff for extra snugness. 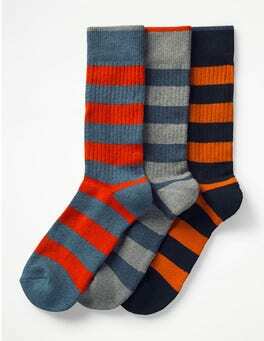 Give toes some TLC with our cotton-rich socks. These soft and cosy essentials are perfect for a morning spent whizzing around the slopes or for keeping feet toasty when the shoes come off after the latest adventure. The camo print and colourful stripes will brighten the gloomiest of days. 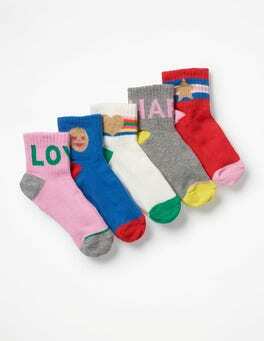 Keep active feet happy (and cosy) in these colourful printed socks. Our packs come with three cotton-rich pairs, decorated with magical mermaids or prancing ponies. A ribbed top stops them from slipping down or being pulled off by busy little fingers. 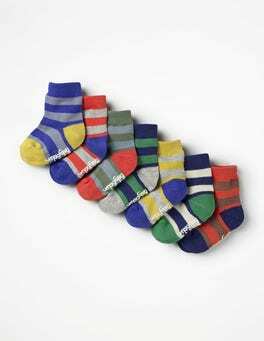 Our present-ready box of seven cotton-rich pairs of socks bursts with bright colours and bold designs. 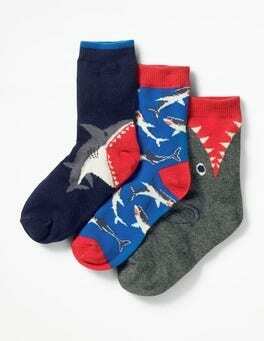 Sea creatures, hippos, stars and stripes all appear on these fun and sporty socks. Perfect for little feet going on big adventures. 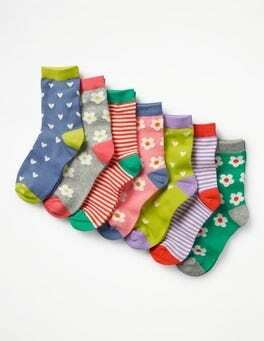 This box of cotton-rich socks is bursting with cheerful designs and bright colours. Choosing which pair to wear might not be so easy – but never fear, there’s a pair for each day of the week. With their delightful packaging, they would make a perfect present, too. 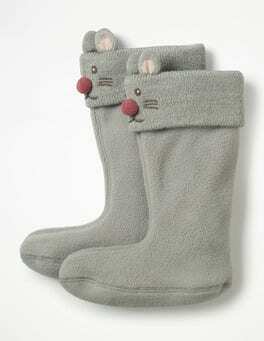 Is that a mouse peeking out over those wellies? Why yes it is. 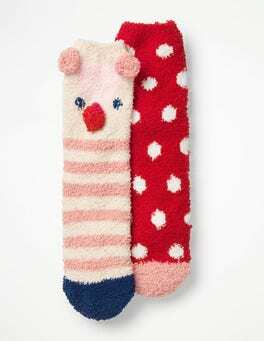 These soft, fleecy socks will keep little toes warm when it's time to stomp around in the rain and snow, while 3D ears and a pompom nose bring this furry friend to life.